Here at Eclipse Ski, we are immensely proud of our reputation; we have a wealth of first-hand knowledge and can offer you expert, unbiased advice to help you choose the perfect ski property for you. Over time we have forged strong bonds and excellent working relationships with the foremost leading developers and work only with the finest builders of mountain properties. What are you looking for? Off plan, key ready options? Perhaps you want a new build or renovation property? 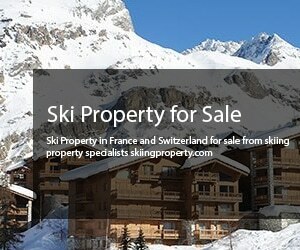 Apartments and chalets in prime locations of outstanding natural beauty are available for sale. Beautiful ski in ski out ski properties have been carefully chosen by us and our team of experts to offer you the best in stylish, comfortable and functional ski properties on the market today. Our colleagues are based in the very best locations and ski resorts waiting to assist you in making the right decisions for your future ski property. We listen; listen to what you are looking for in location, facilities, affordability, amenities and whether you are looking for a holiday home for yourself or an investment. We have our finger on the pulse and can guide you to the right properties which give you the best rental potential with leaseback opportunities or capital appreciation prospects. We have personally hand picked the very best ski properties in the most popular and upcoming ski locations to offer you the very best available. The key and well-known resorts are always in demand however, we have some little gems tucked away which could be ideal for you. Stunning chocolate box villages with traditional wooden chalets are dotted throughout the mountains, luxurious, very pretty and utterly romantic and to most buyers, the ideal ski retreat. Others prefer ultra modern apartments very stylish and functional; you will need to consider drying off those wet ski clothes, ski boots and skis. Affordability is obviously a major factor, once you know your budget we can put together a portfolio best suited for you. Our most reasonably priced properties are very modern and comfortable, but if you can go extravagant then why not? Stunningly beautiful and plush properties with private hot tubs to sink into can be a reality and not a mere dream. It’s the perfect end to a day after an afternoon on the slopes, sipping a glass of champagne whilst the warm bubbles soothe your aching muscles is pure bliss. There are many ski resorts which are open all year round and offer excellent facilities. This would be an ideal option especially if your purchase is for rental investment. It’s a great option to go for anyway as it gives you the flexibility to use your property at all times and get the most out of your holiday home. We have the locations and the properties so all we need to do is to match the ideal property to you. Let us guide you to finding your perfect resort and ski property and a new exciting lifestyle on the mountains!